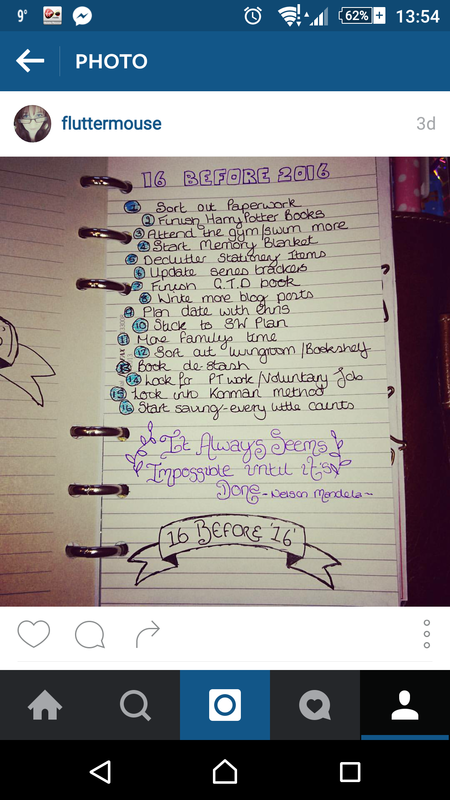 I was reading the How To Gyst blog the other day and came across something called the 16 Before 16 challenge. The basic principle of this challenge is to set yourself 16 goals to complete before 2016. This was sited originally from the blog Market Your Creativity. I thought this would be a great thing to take part in as there was a few things I knew I wanted to accomplish before the new year started. All my goals are based around myself and home rather than business or work. My list was featured also on the Weekend Blog Love post over at Bohoberry. If you are taking part I’d love to see your lists and progress so feel free to tag me @fluttermouse on I.G and/or #16before2016.